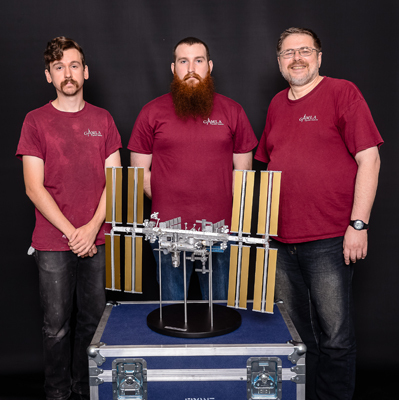 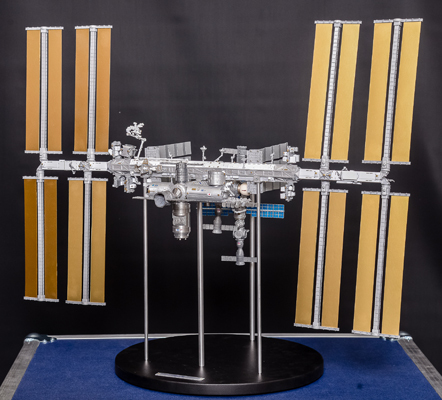 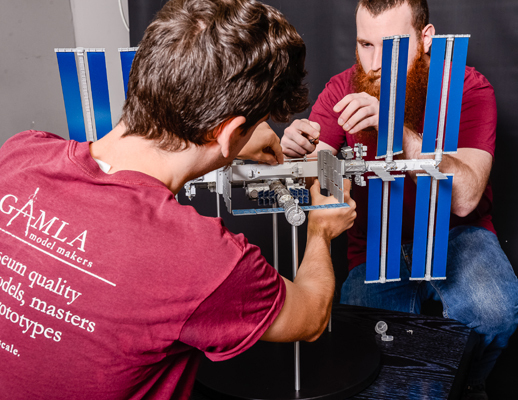 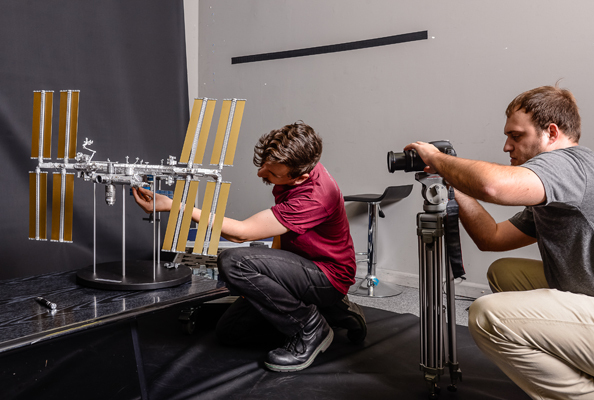 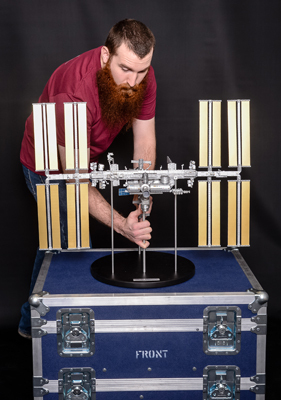 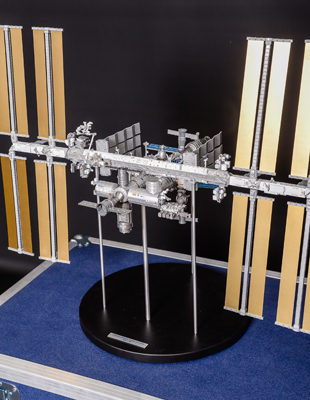 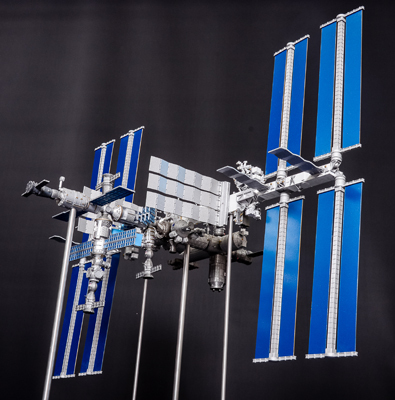 In 2015 NASA commissioned Gamla Model Makers to develop and produce a 1:144 scale model of the International Space Station. 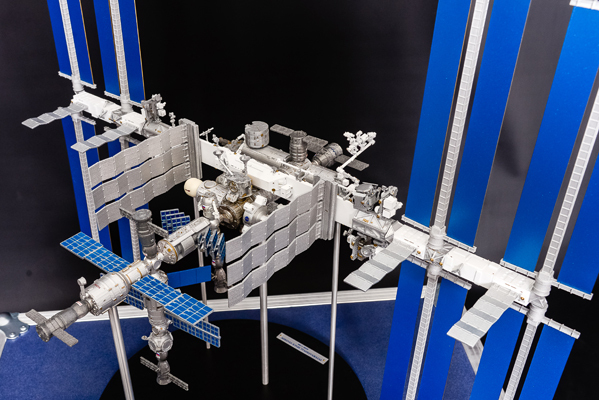 Smaller, about 70% size of our standard 1:100 scale ISS model, this one was suppose to become a more portable and mobile version of the ISS presentation model. 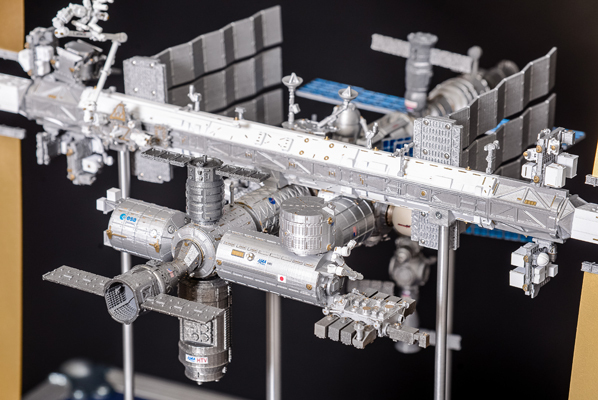 Once again we re-worked the 1:100 scale 3D model, not only scaling it down, but also modifying the elements in order to compensate for smaller size and slightly lower scale resolution. 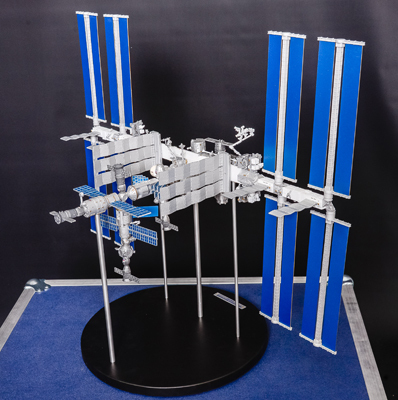 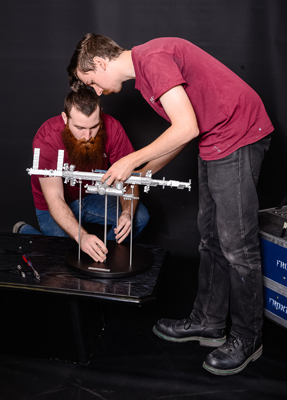 We also had to modify the model so it will be able to accommodate all new set of magnets, internal reinforcement elements and supports, non of which were simply proportionally smaller. 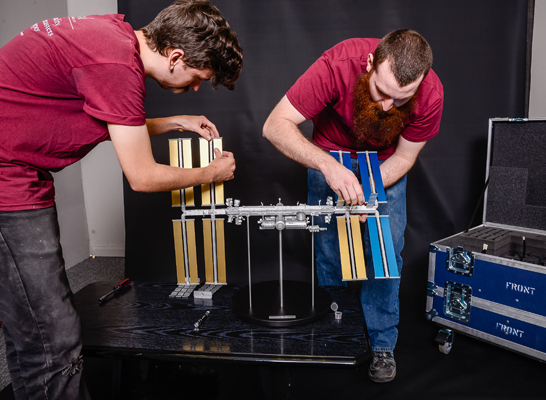 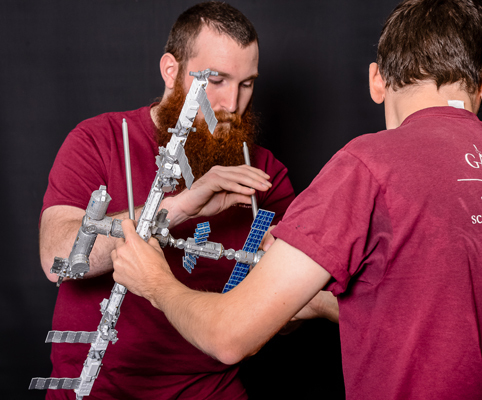 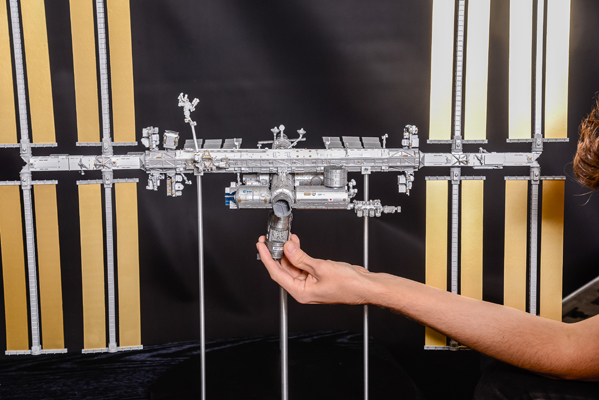 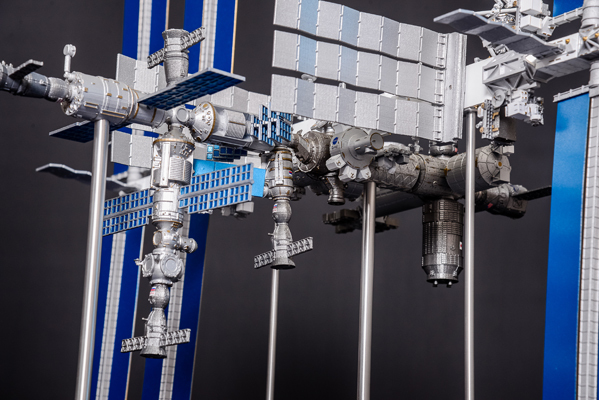 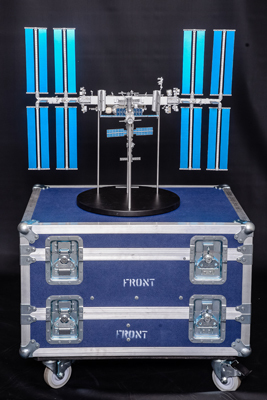 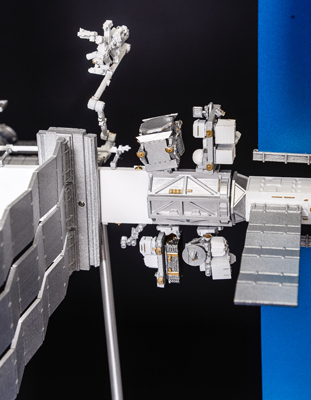 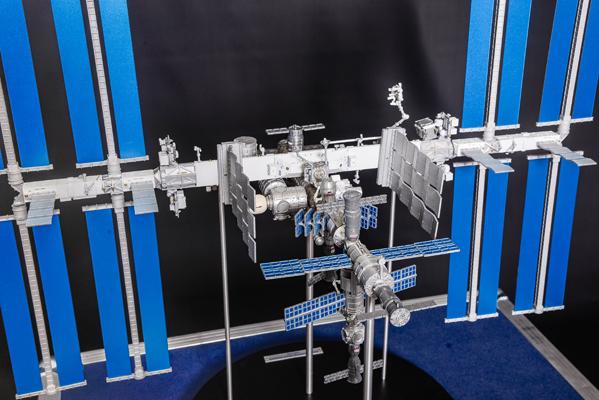 As a result we developed and produced a new model of ISS, which is smaller in size, easier to handle, yet it has preserved all the features of the 1:100 scale model. 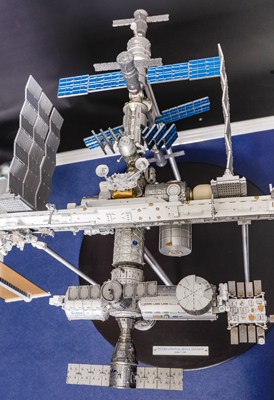 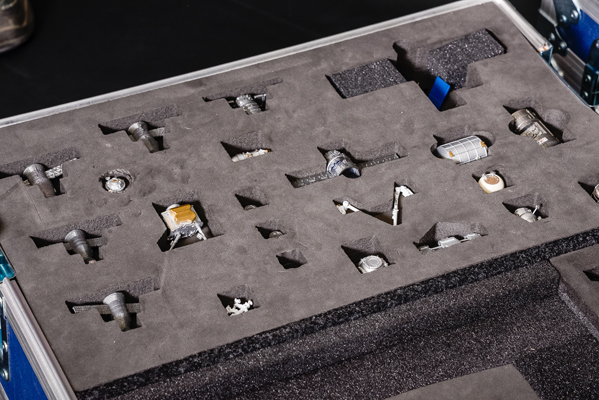 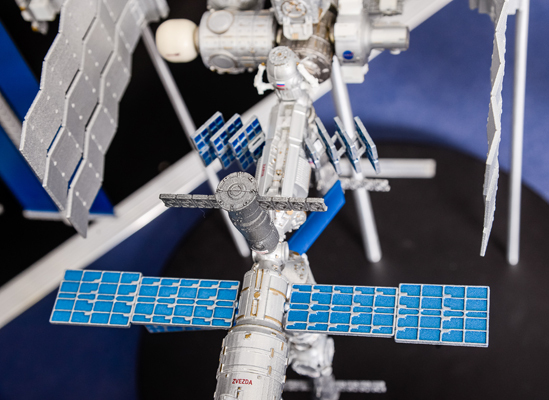 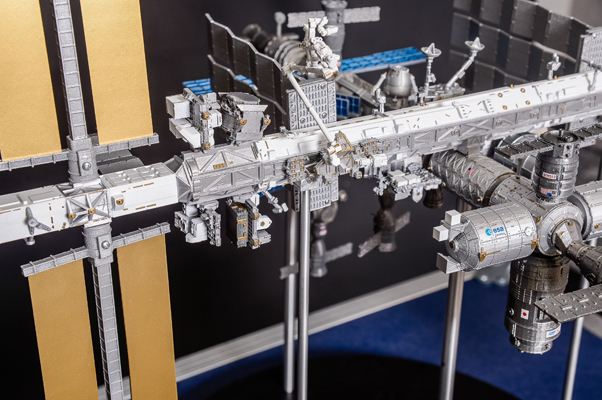 The model depicts the latest 2015 configuration, including the newest elements, such as replicas of the Dragon and Cygnus spaceships as well as the BEAM - an inflatable habitat module. 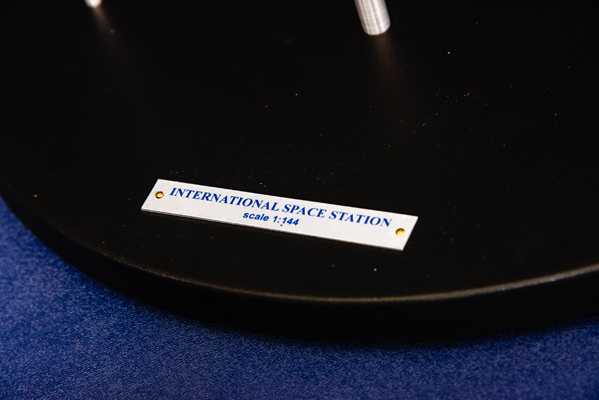 The model is comfortably mounted on a smaller round (not elliptical) base with a new nameplate. 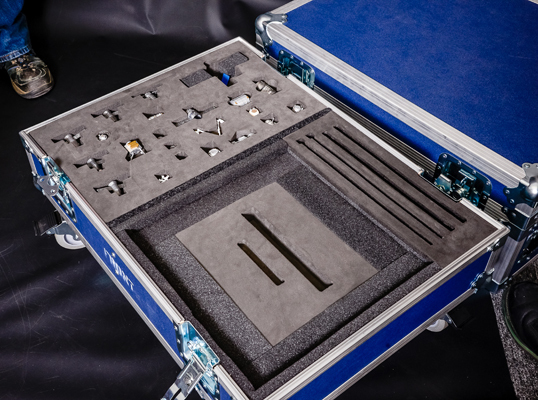 New, more portable transit case was developed for this model. 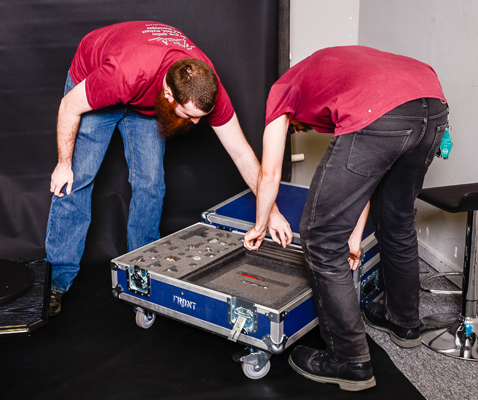 We see a way to modify the transit case even further, to make it even more portable, possibly luggage type, and currently working in this direction. 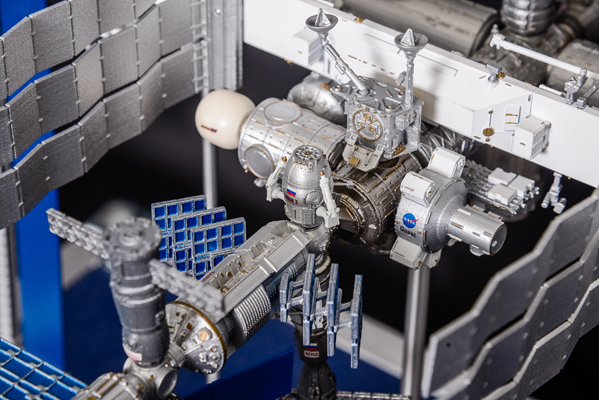 The 1:144 scale ISS model became a success - we received the most positive feedback from our NASA customers. 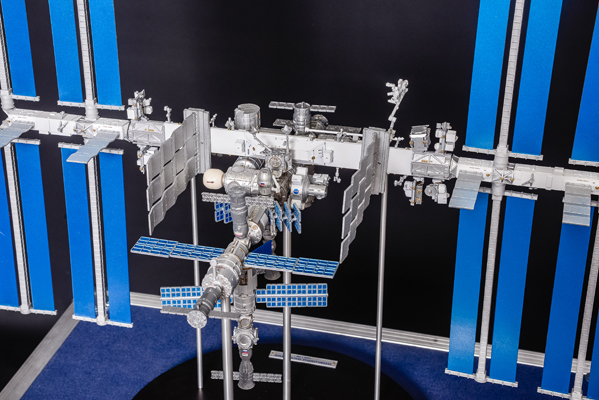 It was also ordered by JAXA and several other aerospace companies. 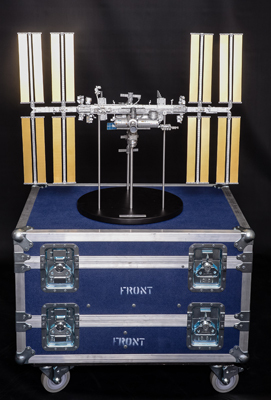 We see a future for this model as it is more portable, easier to handle and cost much less than the 1:100 scale model.